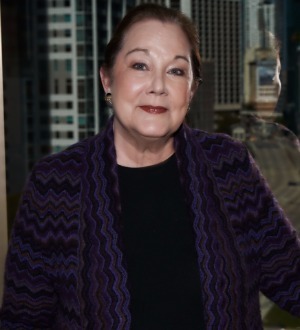 Susan has practiced as a criminal defense attorney since 1980. She and her former law partner Albert J. Krieger (now retired) gained a national reputation representing individuals and corporations in complex federal conspiracy, money laundering, and racketeering prosecutions, and other government enforcement matters, such as U.S. Securities and Exchange Commission proceedings. She has extensive jury trial experience and has litigated matters throughout the United States and in multiple foreign jurisdictions. Susan is a long time Fellow of the American Board of Criminal Lawyers, and a member of the National Association of Criminal Defense Lawyers (NACDL), and the American Bar Association. She also serves as the Co-Chair of the Lawyers’ Assistance Strike Force for the NACDL and a faculty member of the Trial Skills Academy of the Institute for Criminal Defense Advocacy, and has published and lectured extensively throughout the country on issues of ethics and trial advocacy. As early as 1991, she was selected for listing in the prestigious National Directory of Criminal Lawyers. She has been AV-Rated in the Martindale-Hubbell Law Directory since 1990, has received numerous commendation awards from NACDL, and was nominated in 1998 for The National Law Journal’s “List and Profiles of The Top 50 Women Civil and Criminal Lawyers in the United States.” Susan was also one of 5 criminal defense attorneys (and the only woman) chosen, in 1997, by the Ohio Association of Criminal Defense Lawyers to receive its “Annual Superstar” award. In 2003, Susan was selected to serve as Vice-Chair of the American Bar Association Task Force on the Right To Counsel. Susan’s experience extends internationally where she is a Fellow of the International Criminal Tribunal for the Former Yugoslavia at The Hague, a member of the Association of Defense Counsel admitted to Practice before the Tribunal, and a member of the Bar of the International Criminal Court, International Criminal Defense Attorneys Association. Representation in the Middle District of Florida of a defendant charged in a stock fraud indictment alleging $138 million loss to victim investors; pretrial preparation involved 3+ years of document review preceding 3 month trial. Representation in the Eastern District of Michigan of a defendant in high-profile public corruption case, charged in 100+ page RICO indictment, where contractor-client was charged with paying kickbacks to mayor in exchange for receiving $86+ million in contracts. Representation of an attorney-defendant charged with racketeering and money laundering violations required multiple appearances in the courts of the Bahamas, the Channel Islands (Jersey), Anguilla, and the Netherlands Antilles to litigate issues arising from foreign banking laws, subpoena powers, and foreign document production in the United States. Representation in the Northern District of New York of a defendant charged with money laundering conspiracy and wire fraud by engaging in financial transactions with funds derived from alcohol and cigarette sales designed to evade payment of Canadian excise taxes. Issues relating to the criminalization of foreign fiscal offenses were briefed and litigated over an 18 month pretrial period. Known as the “Wedtech Case,” this case, prosecuted in the Southern District of New York, required 2 years of pretrial litigation of complex issues arising from the government’s unprecedented expansion of the federal racketeering statute and claim of entitlement to the defendants’ Swiss banking records, in conjunction with the organization and review of 4 million+ discovery documents, in preparation for the ensuing 6 month trial. Representation of the owner of the Aladdin Hotel, charged with conspiracy to commit mail fraud in the District of Nevada, required 2 years pretrial preparation involving 1 million+ documents and 100+ potential government witnesses; the 8 month trial, in which 6000+ government & defense exhibits were admitted in evidence, resulted in the acquittal of all 8 defendants. Representation of the alleged head of the “Gambino Crime Family” entailed 1½ years of analysis of 500+ hours of video and audio electronic surveillance and 1000+ pages of discovery reports, as preparation for the 4 month trial in the Eastern District of New York on the government’s charges of 14 homicides and violent crimes in aid of racketeering activity. Representation of defendant in the first prosecution in the United States of the leader of a foreign country (Turks & Caicos); novel legal questions regarding diplomatic immunity and jurisdictional issues were briefed and litigated prior to the 3 month trial on Travel Act and conspiracy charges. Representation of the owner of the Tropicana Hotel, Las Vegas, Nevada, and 4 banks in Minneapolis – St. Paul, in the District of Minnesota, on charges of bank fraud and tax evasion arising from a 2 year multi-jurisdictional investigation generating 1 million+ documents and 100+ potential government witnesses; trial of the matter lasted 5 months. Representation in the Eastern District of Michigan of the country’s leading bankruptcy attorney, charged in 2 indictments with bankruptcy fraud and obstruction of justice; pretrial preparation involved analysis of 1 million+ discovery documents and 75+ witnesses prior to 2 trials, each lasting 3 months. Representation of the alleged head of the “Bonanno Crime Family” in the Northern District of California on obstruction of justices charges included litigation concerning the government’s evidence-gathering methods through searches and electronic surveillance, together with significant right of privacy issues. Representation of a defendant in the “Synanon Cases” – – prosecutions which were 10 years in the making and brought in both the District of Columbia and the Eastern District of California, charging Synanon members with multiple acts of terror and obstruction of justice, consistent with the government’s theory that the group was a violent cult; constitutional issues regarding rights of freedom of association and freedom from selective prosecution were litigated in both districts during the 2+ years of trial preparation. Representation in a 5 month racketeering trial, in the Eastern District of Missouri, of the defendant alleged to be leader of “the St. Louis Crime Syndicate,” who was responsible for 8 homicides; the prosecution was the result of a 3 year government investigation and 300+ hours of electronic surveillance tapes. Representation of an attorney-defendant in the Southern District of Florida corruption and racketeering case, known as “Operation Court Broom,” in which the attorney-defendants were charged with paying kickbacks to state court judges in exchange for court appointments; pretrial preparation involved 1+ year of analysis of court files prior to 2 month trial.